So you recently bought a timeshare in the great state of Montana? Or have you owned the timeshare for years? Either way, if you found this page you are looking for information on how to cancel a timeshare contract in Montana. We are going to offer some steps and information to get you one step closer to timeshare freedom! 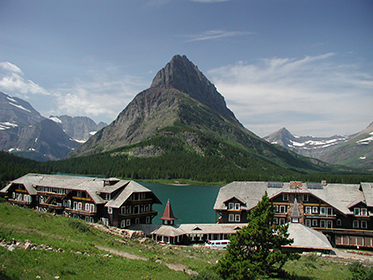 Canceling a timeshare contract in Montana does’t have to be difficult. Depending on when and how you purchased your timeshare determines if its a simple issue to resolve, or if it’s going to take some more diligence to rid you of your timeshare problems. Montana has set in place very particular laws when it comes to selling timeshares. First of all, in Montana, its illegal to make false and misleading statements when it comes to timeshare sales. They CANNOT try to manipulate you or their words in order to sell you a timeshare. They can not make false promise and not deliver on them or else they are breaking the law. In order for a person from the state of Montana to be involved in the sale or offer of a timeshare, they must be licensed as a timeshare salesperson and must be associated with at least one registered timeshare project. This is set in place to prevent buyers from be defrauded by timeshare scams. If you think your salesperson was not licensed or if you were mislead or defrauded in any way please give us a call at 1-888-743-9051 for a FREE CONSULTATION to see if you are eligible for timeshare redemption. A public offering statement contains general information regarding the timeshare and the obligations you should consider when purchasing a timeshare. In Montana, the licensed salesperson MUST provide you with a public offering statement before you can sign a timeshare contract. The public offering statement includes some mandatory information that must be provided to you. Contact Information for the developer. A general description of the Timeshare, this includes units and pricing. The current budget of the Timeshare development. The different types of financing offered. Information about when and how to cancel the timeshare contract in Montana. There is a rescission period set in place for Montana in case you decide you want to cancel your timeshare contract. You have 7 days in which you are eligible to cancel a timeshare contract in Montana. The 7 days start from either the date you receive your public offering statement or the date you sign the timeshare purchase agreement, whichever is later. You also cannot waive your right to cancel in the seven day period. This means the salesperson CANNOT have you waive this right in either verbal or written form. For canceling a timeshare contract in Montana in the 7 day rescission period you must do one of two things. You must either send a notice of cancellation by certified mail, or personally deliver the notice to the developer. We recommend if you are capable, to do both of these to ensure peace of mind when canceling your timeshare contract in Montana. If you would like help with drafting a copy of the notice of cancellation or have any questions about canceling a timeshare contract in Montana please give us a call at 1-888-743-9051 or use our Online Contact Form for a Free Consultation! How to Cancel a Timeshare Contract in Montana after 7 day! Have you passed your 7 day rescission window? Still want to cancel a timeshare contract in Montana? Let us relieve you of this burden and take the stress out of your hands. Our Senior Advisors at Redemption and Release, LLC are dedicated to helping you become timeshare free. Call us at 1-888-743-9051 or use our Online Contact Form to receive a No-Obligation, Free Consultation. Let us help you cancel a timeshare contract in Montana and move towards Timeshare Redemption!